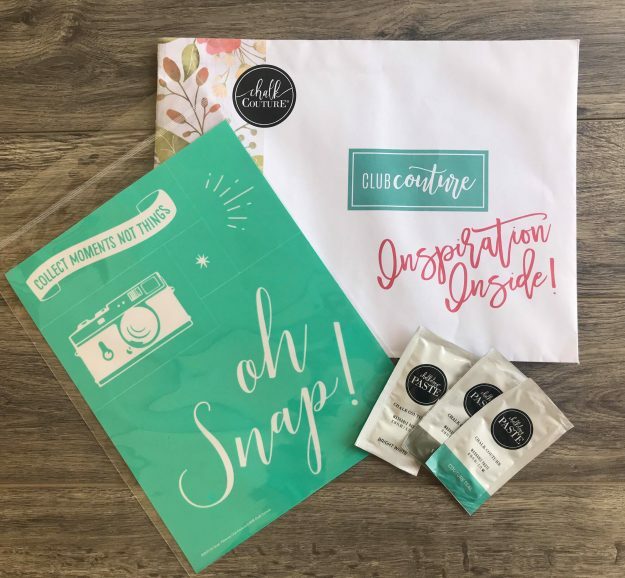 If you weren’t aware, Chalk Couture became my favorite way to craft as soon as I tried it, I am thrilled to announce that they have launched Club Couture, a monthly crafting subscription box! If I’ve said it once I’ve said it a million times, I am a hot mess crafter. 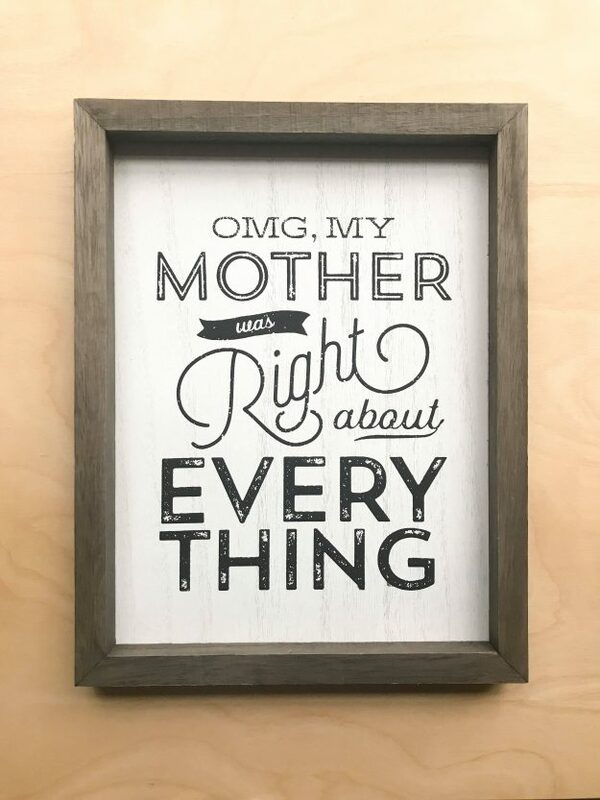 I love crafting but I usually always make a mess, and I never want to spend days, or even several hours on a single project. 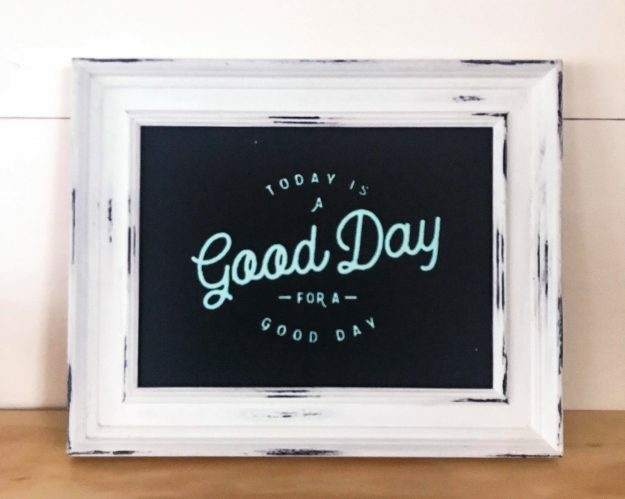 I like to get in there, get my crafting fix, and move on with my day. Which is why I love Chalk Couture so much. I have made super detailed projects and large signs and spent no more than 30 minutes on the entire thing … including cleanup! One more perk about the subscription service is HAPPY MAIL!! I love getting mail and isn’t a “pre-approved” credit card offer, bill, or complete junk. Basically, I adore the rare day when I can check the mail and see something that I am actually excited about receiving. 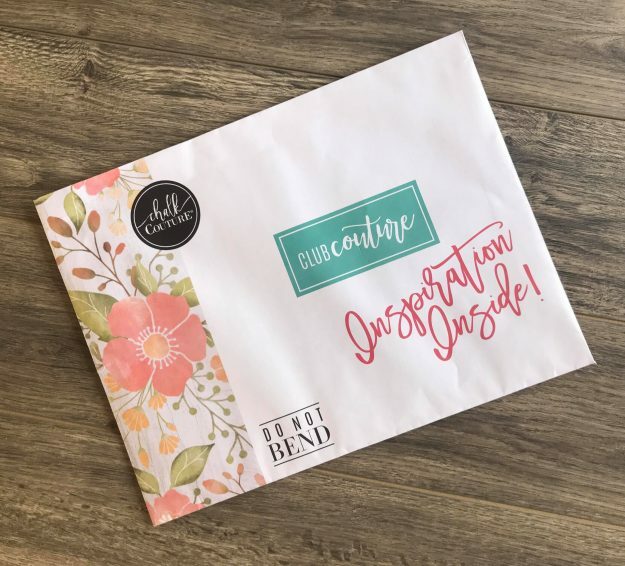 If you like happy mail and crafting, I’d like to answer some questions you may have about the new Club Couture subscription service. Club Couture is a monthly subscription service featuring new exclusive Chalk Couture transfers only available to Club Couture members. The only other tools you will need will be a surface to put your design on (which can be any non-porous surface), and a squeegee. Absolutely! Each transfer is designed to be used repeatedly. I have several that are nearly a year old and still holding strong. Also, each transfer can be used for both Couture paste and ink projects. Which means you can take your favorite transfer and use it on a sign and a throw pillow! Or, nearly anything else you can imagine. To see how to clean your transfers you can check out this video. Club Couture is $19.99 + tax a month with free shipping. Each month is billed on the 5th and your first order is filled on the following month. Club Couture doesn’t have a long term contract, though there is a three-month minimum, and you can cancel any time after that. As a customer, no. However, you are eligible to buy any of the previous months club transfers when enrolling. And if you really love Chalk Couture maybe you’d enjoy being a designer! To find more information about that click here. To join Club Couture simply CLICK HERE and sign up! 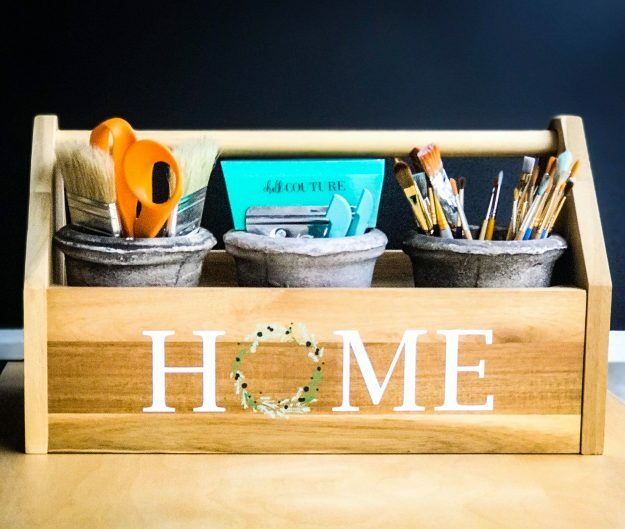 It’s just that easy and then you’ll be on your way to getting your crafting fix and finally getting something in the mail that you don’t want to trash! !